Wherever did February go? Time to write the March Monthly Goals and talk about what’s happening behind the scenes on JeddahMom. If you are new here and wondering what Monthly Goals are, let me give you a quick introduction. Every month, I recap what I have been doing behind the scenes on this blog. Then I share what I am looking forward to in the coming month. This helps me keep intentional in my motherhood journey. At the end of my post, I link to a few other mom bloggers who make monthly goals too. We inspire and keep each other motivated. This past month, I have had a few ups and downs. 1. Failed recipes. The ‘100 Recipes in 2018’ craze got fun. We should be on #18 this month as we are doing 9 recipes every month but… we are on #12 because I have lost steam. The few recipes we tried this month didn’t turn out that good. We did add a few favorites though. 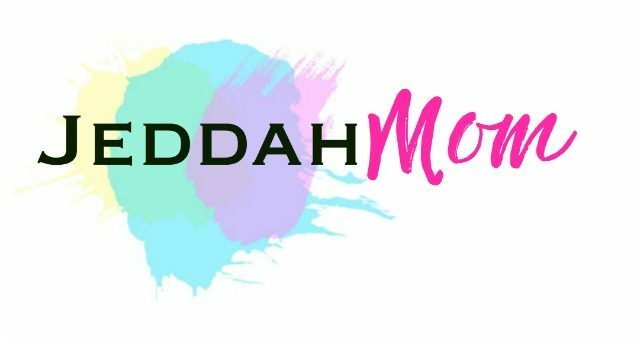 You can find the updates on JeddahMom Insta Account. 3. Punch needling– All that time meant a new craft. I am addicted and in love with this new craft! Video and full post coming. 4. New yarn and blanket– I have discovered a new yarn. A video and full post about this too coming soon. It’s awesome girls! 5. Revising with kids: Quran, reading, math. Exam season is starting April. My afternoons are now spent revising everything. 6. A lot on the discipline, lots of rules in place. We have revised ALL our schedules and routine charts this month. It was an eye opener because this time my 10 year took the lead and actually told me that this is how he wants it. I guess, when kids come to that age they want to be more in control. I am happy that he is being so responsible. On the blog, I am celebrating Women’s Month. Stay tuned as I introduce you to my favorite person and inspiration later this week. Then through the month we celebrate our own mothers. Doctors appointment– I am going in for checkups this month. Already I have taken my appointments but… I am scared. Please remember me in your prayers. I haven’t been well. End of year revision– As mentioned earlier, time for revisions for mom and kids. Plan the summer break – Summer break starts in Mid -May we have been told. I am already planning my trips as Ramadan will be coming too. Video making– I am looking forward to making a lot of videos this month. I’ll be honest here video- logging scares me but… I have so many crafts I want to talk about! InshaAllah go around to it this month. This is my monthly goals this month plus a little motivation to try and switch off your internet if you’re overwhelmed by everything moving too fast around you. I’d love for you to join in the conversation in the comments. Welcome to the Monthly Goals Blog Hop! Do you plan your month ahead? Have you anything in particular that your looking forward to this month? Is there anything in your life that needs focus? Kids, family, self… what is your motivation? This blog hop and link up is to help you make new friends and find a partner to stay accountable to. Every month, a group of us get together to write our monthly goals. This helps us stay connected, accountable as well as inspire other moms to know how we do it all. If you are new here and wondering what Monthly Goals are or How to be an Intentional Mom, I highly recommend this post and my Intensive Mom Planning course. Fill the form below to join the course. DO YOU HAVE A LIFE PLAN? 'Goals without plans are just dreams'... We cannot live the life of our dreams until we have a plan! Be the Deliberate, Intentional, Confident Mom that you always wanted to be. Download this FREE life planner and get started! Vlogging is putting yourself out there ? I’d love for you to join Gillian. ?